This is a copy of Mindwalker's Homepage, hosted on Clearbird's server (Nov. 2003). Check here for latest updates. 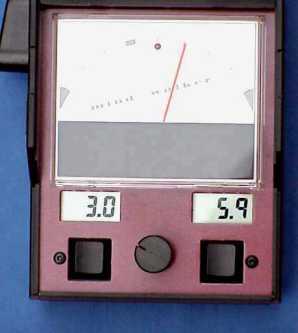 Front view showing the dial, baseline position and counter displays and meter controls. 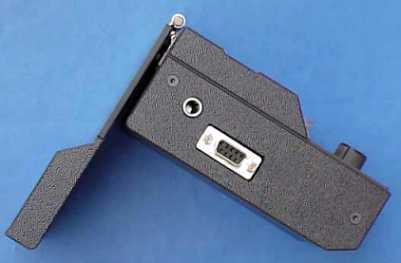 Side view showing the electrodes and serial connections. The mindwalker 2 is a meter that is suited to both beginners, (lower cost and simplicity), and professionals who require a portable advanced instrument. The basic price is 300 GBP including delivery. EU price 352.50 GBP inc tax. Outside EU local taxes apply. For background information on the uses . 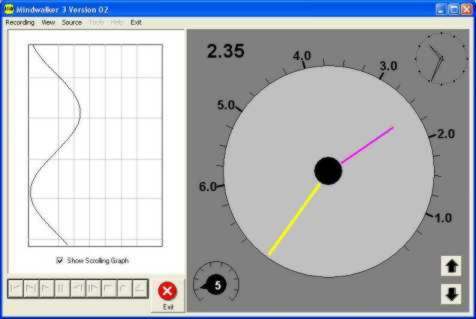 Visit http://www.mindwalking.de/ for a typical application of the meter. Data regarding the earlier model (mindwalker 1) is available here. Manufacture of the new Mindwalker 3 hardware is complete and orders are now being taken. Basic unit £280 or US $450. Discount is available for previous C-meter clients (ask for details). Payment by visa credit card or bank transfer. Click here if you require further information or clarification.